For months The Jew Car, Franz Fühmann’s autobiographical story cycle, sat on my shelf unread. I had bought it in anticipation of the recent release, in translation, of his last major work, At the Burning Abyss: Experiencing the Georg Trakl Poem. However, for some reason, I could not bring myself to read it. I have never been especially attracted to World War II literature, and with the current resurgence of neo-Nazi sentiments and far-right movements in North America and Europe, I was uncertain if I wanted to venture into a series of stories in which an East German writer traces a path from his enthusiastic adoption of fascist rhetoric as a youth, on through his experiences as a German soldier during the war, to his eventual rejection of Nazi ideology and acceptance of socialism in a Soviet POW camp. I wondered if I had the heart for it, and yet the translator of both volumes, Isabel Fargo Cole, advised me that Fühmann’s personal reflections in At the Burning Abyss would have greater impact and resonance with the background afforded by The Jew Car. Born in 1922, Fühmann grew up in the predominantly German Sudetenland region of Czechoslovakia, the son of an apothecary who encouraged the development of a strong German nationalism. From the age of ten to fourteen, he attended a Jesuit boarding school in Kalksburg but found the atmosphere stifling. In 1936, he transferred to a school in Reichenberg, where he lived on his own for the first time and became involved in the Sudeten Fascist movement. After the annexation of Sudetenland in 1938, he joined the SA. 1941, he was assigned to the signal corps serving in various locations in the Ukraine before being moved to Greece as Germany’s fortunes declined. He was captured by Soviet forces in 1945. During his years spent as a POW, he would embrace socialism and upon his release in 1949, he finally found himself on German soil for the first time, settling in the GDR where he would spend the rest of his life. Originally published in 1962, the stories in The Jew Car, which is subtitled Fourteen Days from Two Decades, follow the trajectory of Fühmann’s life between the ages of seven and twenty-seven. Presented with dramatic colour, they offer an attempt to explore the progression of his ideological development during this period. Through an engaging, often ironic voice and well-framed narratives, we watch Fühmann’s fictional alter-ego confront the psychological seduction of the persistent propaganda machine and engage in the mental gymnastics required to continually readjust to accommodate or explain away any evidence that failed to fit with what he has been led to believe. The title story opens the collection. Set in 1929, the seven year-old narrator is caught up in a wave of rumours sweeping through his grade school. The children listen with a mixture of rapture and fear, to breathless tales of a four Jews in a yellow car who are said to have been travelling through the surrounding countryside, snatching and murdering innocent young girls. When our hero happens to spy a brown car carrying three people one afternoon, it becomes, in his imagination, vividly transformed into the feared mysterious vehicle exactly as described. At school the next day, he is the centre of attention, holding his classmates in thrall until the one person he dearly wishes to impress the most, the girl “with the short, fair hair” neatly puts him in his place. Yet rather than causing him to question his hasty assumptions about the car he actually saw, his humiliation is turned into an increased, abstracted hatred of Jews. And so the process begins. I was excited: I’d never been in a battle like this; the occasional school scuffles didn’t count, the scouting games and the stupid provocations of the police in which I and all the others indulged; now it would turn serious, a real battle with real weapons, and I felt my heart beating, and wondered suddenly how it feels when a knife slips between the ribs. My steps faltered; I didn’t think about the knife, I saw it, and as I passed Ferdl, a sausage vendor who stood not far from the gymnasium, I even thought of stealing off down an alley, but then I scolded myself and walked quickly into the building. It was a puerile game we were playing, childish antics, and yet murderous, and the awful thing was that we felt neither the puerility no the murderousness. We were in action, under orders, advancing through enemy territory, and so, the five-man shopping commando in the middle and the three-man protective flanks to the left and right, we casually strolled up the street, turned off without incident, made our way back down the parallel street through the tide of workers, Germans and Czechs coming from the morning shift, cut through the arcade, side by side, and at discreet intervals each bought twenty pairs of sausages with rolls and beer. 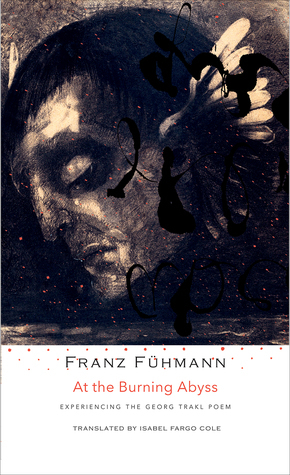 Fühmann is a gifted storyteller whose poetic prose and ironic tone are pitch perfect, especially in the earlier stories. He creates a portrait of his younger self that is not sentimental or idealized. His moments of empathy for individuals otherwise thought to be inferior are quickly reframed with racist convictions. He does not speak too much about his involvement in direct anti-Semitic actions (though he will in later works). What comes through most strikingly in The Jew Car is the sense of rational isolation that surrounds the individual. Information is strictly mediated, so that otherwise intelligent individuals lose any frame of reference or develop extreme responses to the continual routine of work and deprivation. His steadfast devotion to the military structure will start to weaken as he discovers poetry, although his first published efforts during the war are very much on message. Fühmann will not become a dissident poet until much later, long after the war is over. The tone of the later stories is soberer, more contained. The narrator describes his conversion to Socialism in terms that border on the religious. He talks about having “scales fall from his eyes” during his training, describes reading Marx, encountered before but now understood in a new light. But he never provides detailed justification—he believes with conviction and is not ready to be swayed. The final tale which describes his arrival in East Germany after his release from imprisonment to join his mother and sister who have been relocated there, is forced and marked by Soviet style melodrama. 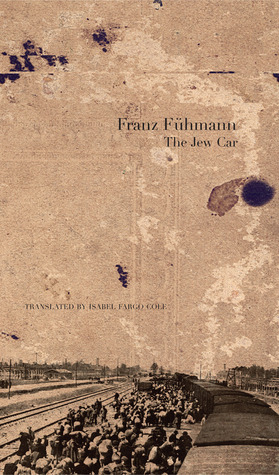 The Jew Car by Franz Fühmann is translated by Isabel Fargo Cole and published by Seagull Books. This review, together with my review of Malina by Ingeborg Bachmann represents my contribution to this year’s German Literature Month. Also related: See my recent interview with translator Isabel Cole, primarily regarding Wolfgang Hilbig, but also touching on Fühmann, which was published at 3:AM Magazine this past month.